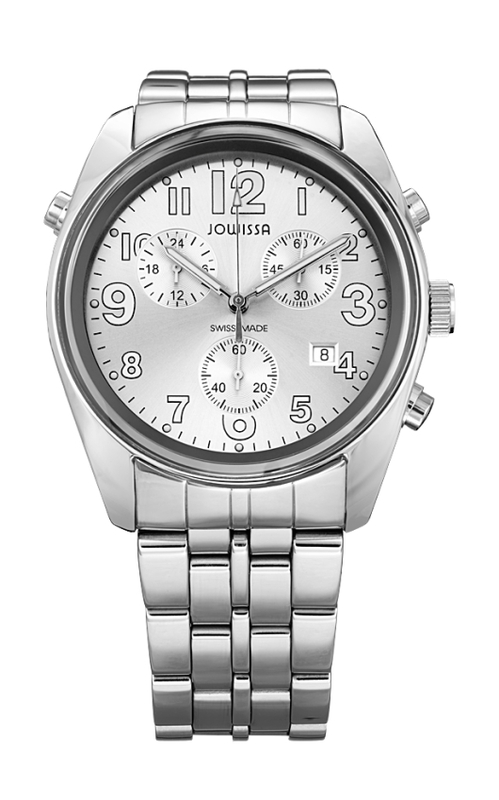 The name JOWISSA might not be immediately familiar, but these Swiss watches have been around since the mid 20th century. 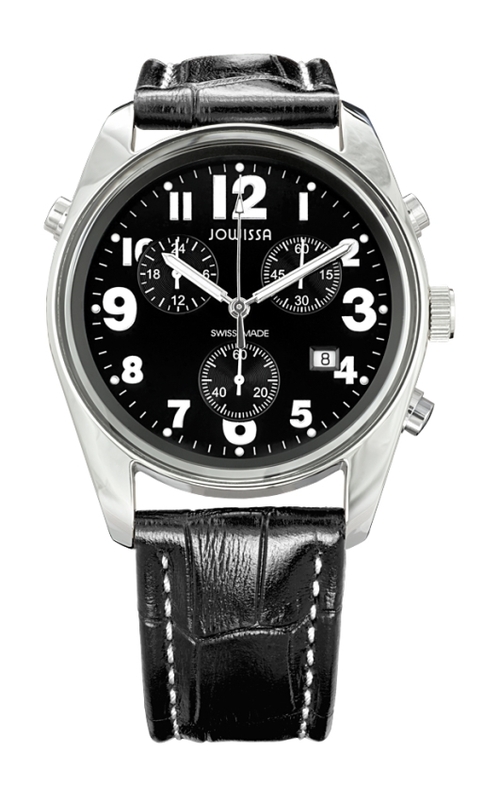 Watchmaker Josef Wyss established the company in 1951, coming up with the name by combining an abridged form of his first name along with his last name and augmented it with the official Swiss corporate registration “SA”. Wyss started the company out of his home and enlisted his wife Mathilde and their five kids into the business. In today’s parlance, JOWISSA was a startup that eventually grew so successful that Wyss had to build a factory adjacent to his property to keep up with demand. Though Wyss has retired, his son Leander leads the company and has since 1980. 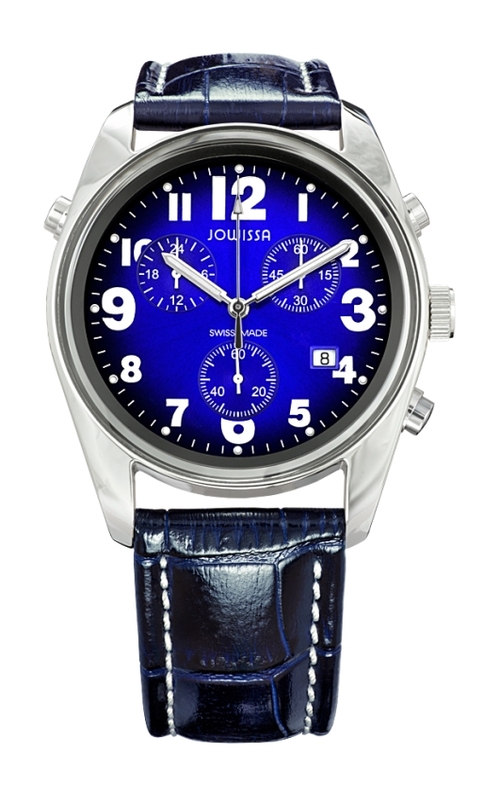 The primary directive of JOWISSA is to create quality and fashionable jewelry watches at an affordable price point without compromising quality. 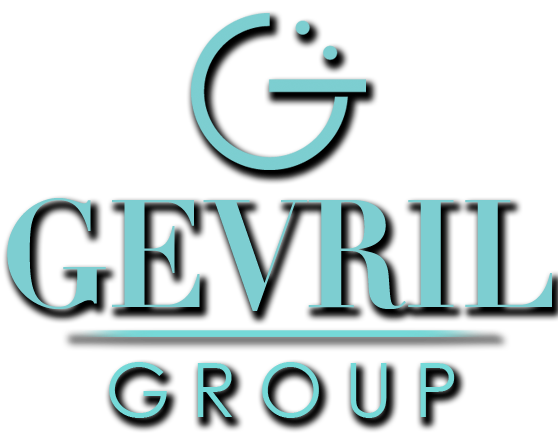 However, they really hit it out of the park when they ventured into the men’s market. 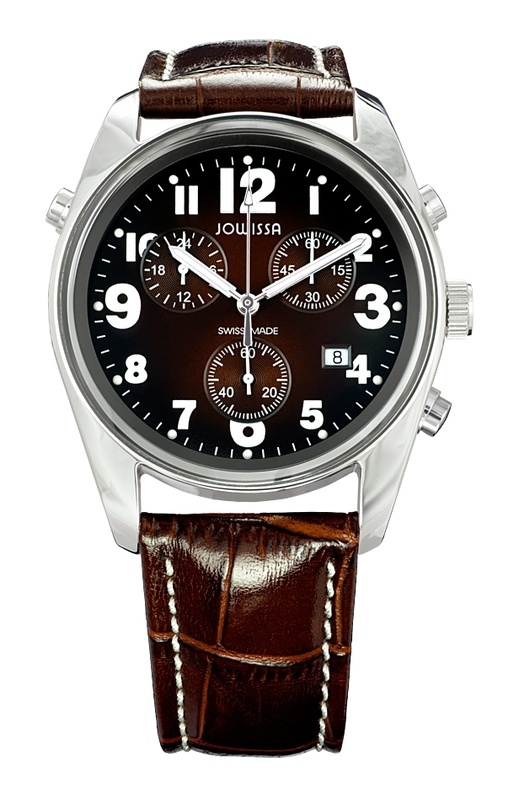 The JOWISSA Men’s Ginebra Chronograph Alarm Watch is a handsome timepiece that immediately draws the eye to its solid design. 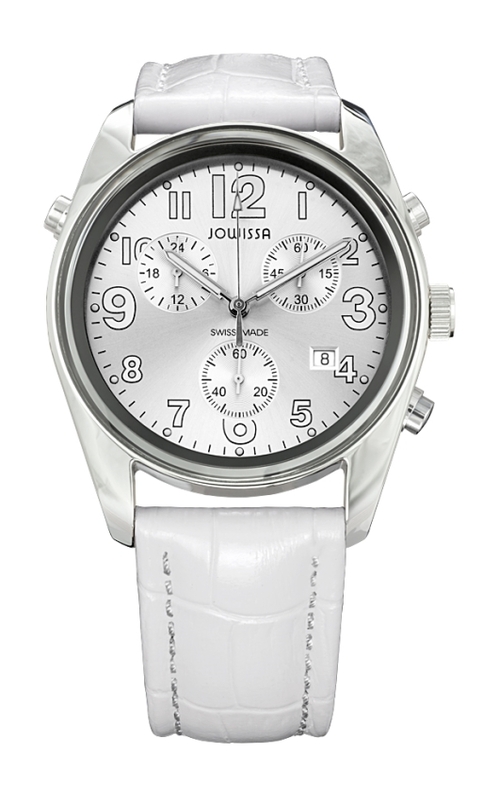 The Ginebra Chronograph Alarm comes in a 40 mm sized stainless case that seems larger because of the thin bezel. And this is a good thing because the dial gets a lot more real estate, making it easier to read all of the indications. 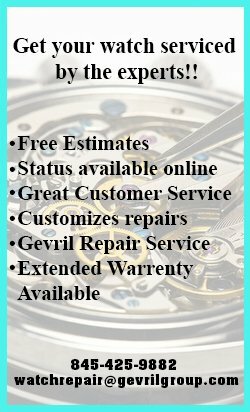 The chronograph totalizers are laid out in an aesthetically pleasing tri-compax setup and are operated by the pushers surrounding the crown at 2 o’clock and 4 o’clock. A date window with a white background and black numerals is situated at 4 o’clock, adding in convenience. The Ginebra Chronograph Alarm has a real pilot’s watch feel to it because of the style and layout of the large white Arabic hour numerals set against the black background. In pilot’s watches, which historically didn’t have chronos, visibility was crucial. 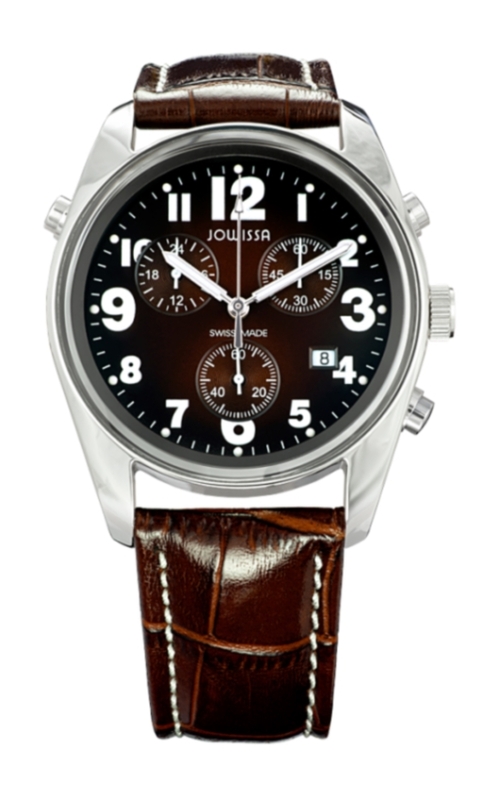 But here’s where JOWISSA takes the artistic conversation in a different direction: in two of the designs, the center of the dial comes in either blue or brown with a genuine calfskin strap with a tang buckle picking up the same hue on the dial. 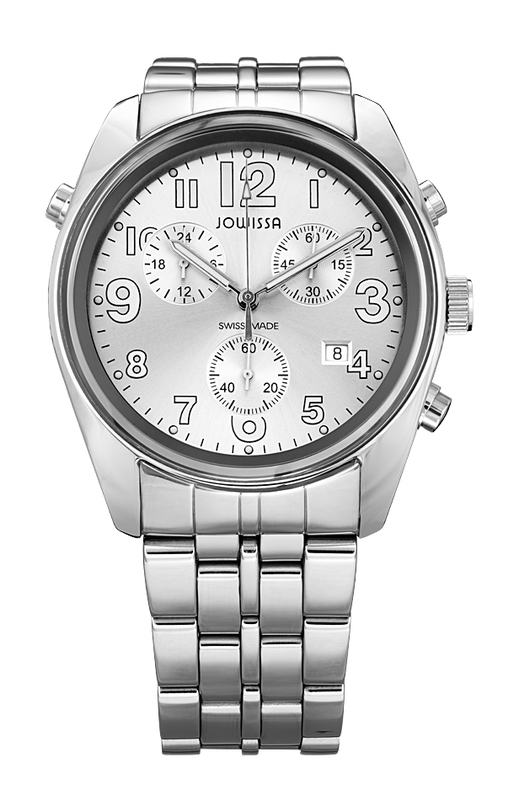 For those who prefer the look with a bracelet there is also the option of a silver-dialed model with stainless steel band with fold over safety clasp. 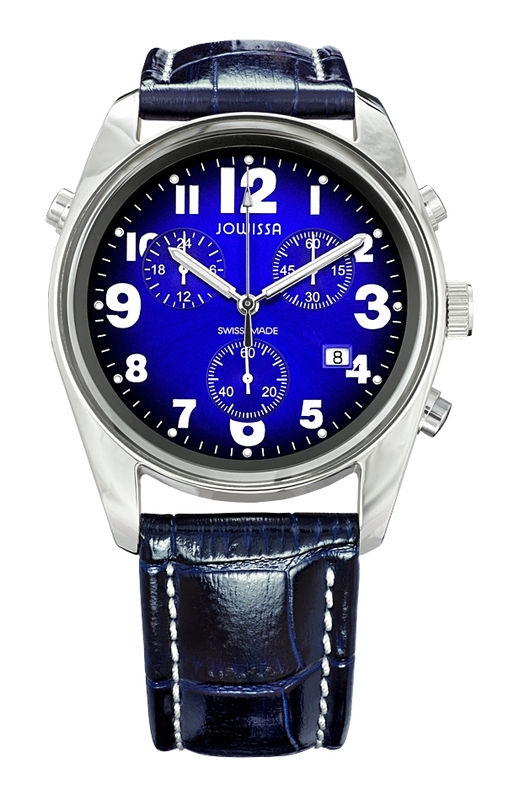 With the Ginebra Chronograph Alarm, JOWISSA has managed to combine two of the most useful functions, a chronograph and an alarm, in a great looking package that gives a hat tip to history while at the same time staying on trend in the modern world. 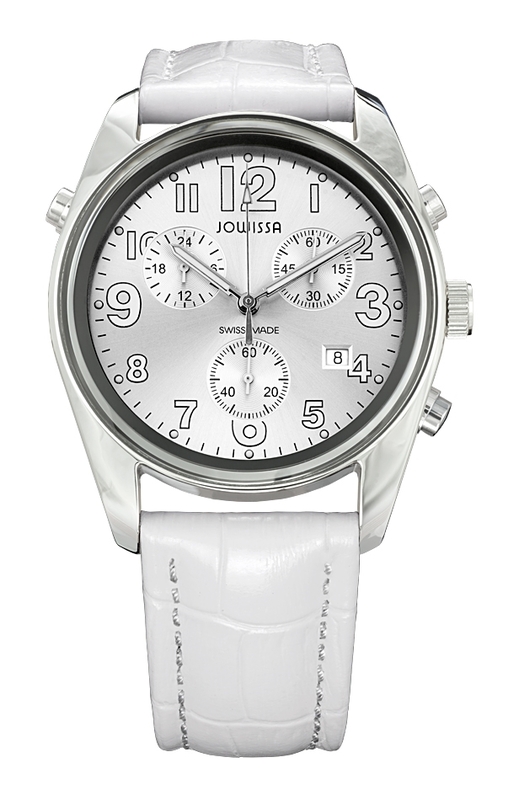 The JOWISSA Ginebra Chronograph Alarm is powered by a precise Swiss ETA G10.791 quartz movement.